ACRYLIC BOOK. 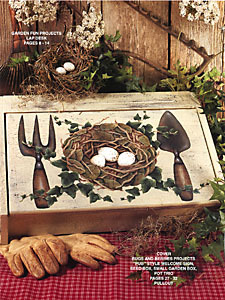 Endless Seasons Vol 2, as the title impies, is full of fresh new ideas and projects to paint covering the four seasons. What a great way to brighten those dark, cold days after the holidays by painting these delightful projects. 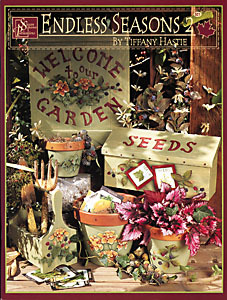 With thoughts of Springs arrival welcome in the season with bright, cheerful signs for the garden as well as a seed packet box, tool caddy, lap desk for seed catalogs, a drop leaf table, candle sticks and plate. Brighten picture frames and a clock with ivy. 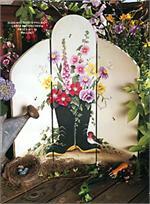 Go into Summer with the Buds and Boots patio screen which will bring life and color to your deck or patio. 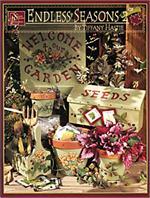 The seamstress will really like and cherish the sewing box painted with wild roses. Dragonflies are done on an oval sign, clay pots and a slate. Hydrangea can be found on a large chest, oval bandbox and wooden lamp shade. A corner table, time out chair, large garden box and clay pots are done in the beautiful jewel tones of Autumn. 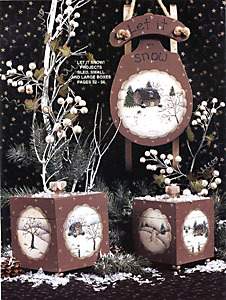 Small and large boxes, sleds, candle holders, signs and pots are painted with a Winter theme. Pick a season and paint a great gift or decor piece. 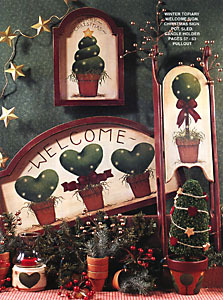 Color photographs and step by steps, patterns, instructions, and extra filler designs are featured. 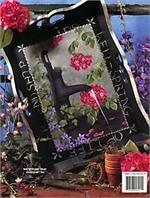 These fabulous designs are for all levels of painting. Acrylic.